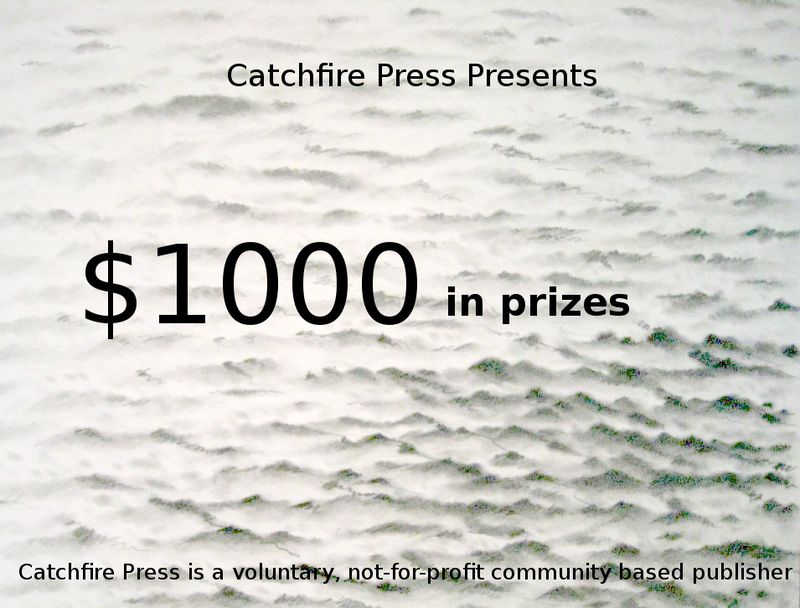 Catchfire Press is calling for submissions of prose and poetry for their latest competition. All entries will be considered for inclusion in their new publication WATERMARK. It is also inviting submissions for the cover design. This opportunity is open to people or entries which have a connection to the Hunter Region. Water has always played a vital role in the Hunter. Life revolves around the ocean and lakes, the working harbour, rivers, creeks, and dams. Its past and present are beset by floods and droughts, wild storms and shipwrecks. Your stories can be real or imagined as long as they touch on the theme of water. Write for possible inclusion in WATERMARK by entering in the following categories. The winning Cover Design will receive a $200 prize. with entry fee ($10.00 per entry) and completed entry form. For entry form and details click here. This entry was posted in Poetry, Short stories, Writing and tagged Award, competition, cover design, Design, Hunter Region, Poetry, short story competitions, submissions. Bookmark the permalink.